Allway Sync - File synchronization that works. Allway Sync uses innovative synchronization algorithms to synchronize your data between desktop PCs, laptops, USB drives, remote FTP/SFTP and WebDAV servers, various online data storages and more. Data compression and encryption are supported. It combines bulletproof reliability with extremely easy-to-use interface. 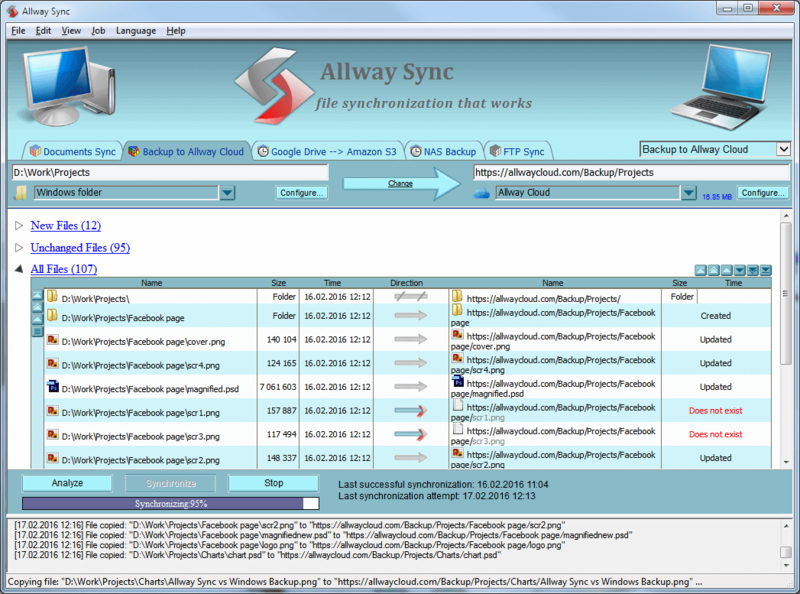 Allway Sync also can synchronize your PC data with a Mac via Sync Gateway. SOCIAL MEDIA: Facebook PACKAGE NOTES *** Click here to Patreon-ize the package maintainer.